Inexpensive “budget” phones are getting sexier. These days, $50 will get you much more than a flip phone with a low-quality camera and a slow mobile Web browser hidden behind a globe icon. 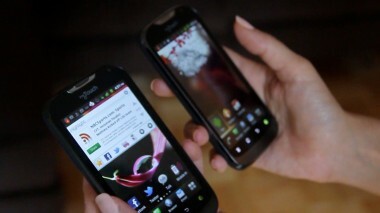 T-Mobile’s new myTouch and myTouch Q are a testament to that. These two smartphones hit the market last week, aimed at users looking for a simpler — or maybe a first — smartphone. Each phone costs $50 with a two-year contract and runs exclusively on T-Mobile’s network. Guts-wise, the Huawei-made myTouch and myTouch Q are almost indistinguishable. Both run 1.4GHz single-core processors, have five-megapixel rear-facing cameras, offer good call quality, and are equipped with a Nuance-powered voice-command feature. 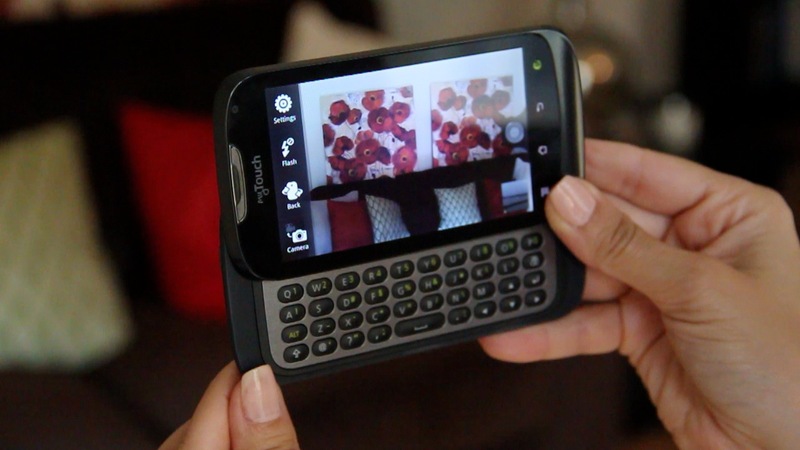 Externally, the myTouch Q (the “Q” stands for Qwerty) is a thicker, heavier phone, due to its slide-out Qwerty keyboard. I’ve been testing these phones for the past week, and found them to be quality budget options for new or first-time smartphone buyers. I especially liked the myTouch Q, mainly for that keyboard. But smartphone users looking for the latest Google Android operating systems need not look here: The myTouch and myTouch Q both run an outdated operating system, Android 2.3, also known as Gingerbread, and are not upgradable. That might be the biggest drawback of these devices. The Android Jelly Bean 4.1 OS boasts features like Google Now, enhanced notifications and smarter text and speech input, none of which are offered in this myTouch series. The myTouch is 4.8 inches by 2.5 inches, and is less than half-an-inch thick, making for a slim, lightweight handset. The myTouch Q is .56 of an inch thick, due to the keyboard, and is 4.9 inches tall. The myTouch weighs 4.94 ounces, while the myTouch Q comes in at 6.52 ounces. The models I tested were round-edged and black, but the myTouch is also offered in dark red, while the T-Mobile myTouch Q is available in white. Neither of these phones are super-sleek-looking, but they’re not bricks, either. Both have a four-inch LCD touchscreen display. The color display isn’t nearly as bright and luminous as some newer, high-end Android smartphones, but it has a higher resolution than its predecessor (the LG-made myTouch) and its app icons, text and photos all looked pretty sharp. Maybe I’m unnecessarily stubborn about touchscreen typing, but even with features like Swype built into Android touchscreen phones — Swype lets you drag your finger from letter to letter and smartly guesses the word you mean to type — I still preferred the velvety feel of the slide-out Qwerty keyboard that comes with the myTouch Q. My guess is that consumers coming to this smartphone from a flip phone or even a BlackBerry would appreciate this tactile option, too. Battery life is another slight differentiator between the myTouch and myTouch Q. Both claim up to seven hours of continuous talk time, but the myTouch is supposed to last about a day longer on standby time. In my experience, the myTouch Q lasted a full day, as I regularly checked email, scrolled through Twitter and Facebook feeds, made a few phone calls and Instagrammed a couple of photos. It still had just a little bit of life left the next day, too. The myTouch lasted longer, but I wasn’t using it as much. One app, perhaps not surprisingly, proved to be a battery drainer: The T-Mobile TV app. This app, powered by MobiTV, comes preinstalled and offers live and on-demand TV. (T-Mobile warns that $80 data plans of 2GB a month or more are recommended if you plan to regularly use this application.) Unlike Mobile DTV, which pulls in streams of free local broadcasts, most of the channels I watched on T-Mobile TV, like ESPN and NBC Entertainment, cost $13 a month after a free trial. T-Mobile TV isn’t the only app that comes preinstalled. Alongside a generic email app, there are apps for Twitter, Facebook, Amazon and Netflix. There’s also a lot of bloatware, such as other T-Mobile branded apps and promotions for add-ons like Caller ID, which gets annoying. Then there’s the Genius button, which lives both in the app catalog and on the lower right-hand side of the phone’s face, just below the screen. This is the Nuance-powered voice-command button, and in my experience, it worked well. By pressing the Genius button, I could dictate that I wanted to call or text a friend, or to play music. But the Genius feature wouldn’t compose the actual text for me through voice dictation, and it defaulted to the Google Play Music app for music, which I hardly ever use. While talking on the phone may seem passé these days, one of the features that struck me about the myTouch Q was call quality. Calls sounded clear and ungarbled, both with the phone pressed to my ear and when I was wearing headphones. Even my mom commented on how well she could hear me when I called her. And unlike the T-Mobile Prism, another budget phone that I found to be sluggish, browsing on the myTouch Q was snappy. Web search results for things like “Magnolia Bakery,” “NYC rental cars” and “Mars Curiosity news” came up in a couple of seconds; maps and pages loaded quickly, as well. The myTouch Q running on T-Mobile’s high-speed network nearly matched speeds of my iPhone 4 running on Verizon 3G, at least in my neighborhood. In New York City, my average download speed with the myTouch Q was .62 megabit per second, and my average upload speed was just under one megabit per second. For comparison, I got an average download speed of 1.2 megabits per second on the 3G Verizon iPhone, and upload speeds of around .6 megabits per second. But it’s important to understand T-Mobile’s “4G” marketing, especially since a little 4G symbol appears on the myTouch and myTouch Q home screens. T-Mobile currently uses a type of technology called HSPA+ for its high-speed networks, which is slower than Verizon’s 4G LTE network. T-Mobile won’t roll out 4G LTE coverage until next year. T-Mobile’s myTouch and myTouch Q are solid smartphone solutions for those looking to make the jump from feature phones to fancier phones, but the network exclusivity and outdated operating system will be drawbacks for choosier consumers.